Space Exploration Technologies (SpaceX) has successfully landed a Falcon 9 first stage back at its launch site, Cape Canaveral Air Force Station. The landing comes just one month after Blue Origin launched its reusable New Shepard into space and successfully returned to Earth. The New Shepard booster performed a similar vertical landing under rocket power. This has led to some comparisons between the two companies whose CEOs have spared verbally in the past. Various “NewSpace” commentators have taken exception to such comparisons, pointing out that New Shepard and Falcon 9 are very different rockets, from a performance view, and aimed at different markets. Those commentators ignore the fact that Blue Origin was pursuing the same NASA Commercial Crew contract, before NASA “downselected” the field to just two companies (Boeing and SpaceX). Although New Shepard is a suborbital vehicle, Blue Origin is using it to test technologies that it plans to use in its future orbital vehicle. From that perspective, it could be argued that Blue Origin has demonstrated more than Boeing at this point, despite the billions in funding which NASA has awarded to Boeing. And Blue Origin is working toward a fully reusable vehicle, while Boeing is merely building a 60’s-style capsule to be launched atop an existing expendable rocket. Taken together, the two test flights point to the start of a new era in spaceflight. The age of expendable rockets is coming to an end. This fact has not been lost on the rest of the world. Russia, Europe, and even India, are busy making plans for their own fully or partially reusable rockets. In the US, SpaceX’s leading commercial competitor, the United Launch Alliance, is working to replace its existing Atlas and Delta rockets with the new, partially reusable Vulcan rocket. The odd man out, at this point, is NASA. While everyone else is working to incorporate new reusable technologies to reduce the cost of access to space, NASA is spending tens of billions to develop a Saturn V clone — one giant leap (backward) for mankind. 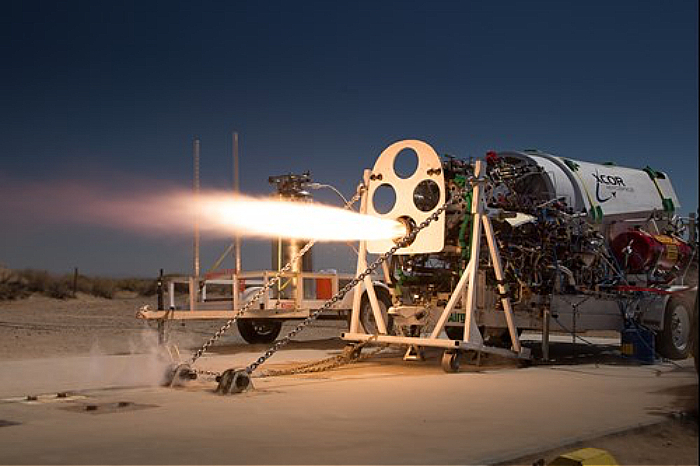 XCOR’s director of engineering and acting chief technology officer Michael Valant has announced the achievement of an important milestone in the development of the reusable 5K18 main rocket engine for the Lynx spacecraft. XCOR engineers have successfully “closed the loop” of the thermodynamic system under test conditions. The 5K18 engine uses a novel method to drive essential engine parts using waste heat from the rocket engine, eliminating the need for large, heavy compressed-gas tanks in the vehicle. This technology is an important part of the Lynx “instant reusability,” which will allow the vehicle to fly multiple times per day without costly servicing of components. The engine has already had hundreds of successful test firings in its basic “open-cycle” form.